IP Inclusive, in association with CIPA, CITMA and our headline sponsor Dehns, invite you to the launch of Careers In Ideas on Tuesday 10th April 2018. The launch will be held at the home of the Royal Society of Medicine, 1 Wimpole Street, London, W1G 0AE. Careers in Ideas is an initiative that was created for anyone considering – or who might consider – a career in the world of intellectual property, and for those who support them in their choices: careers advisers, teachers and parents. This launch event gives everyone the opportunity to see the Careers in Ideas resources and take part in a discussion regarding the next steps to disseminate this information and help to increase diversity in IP. 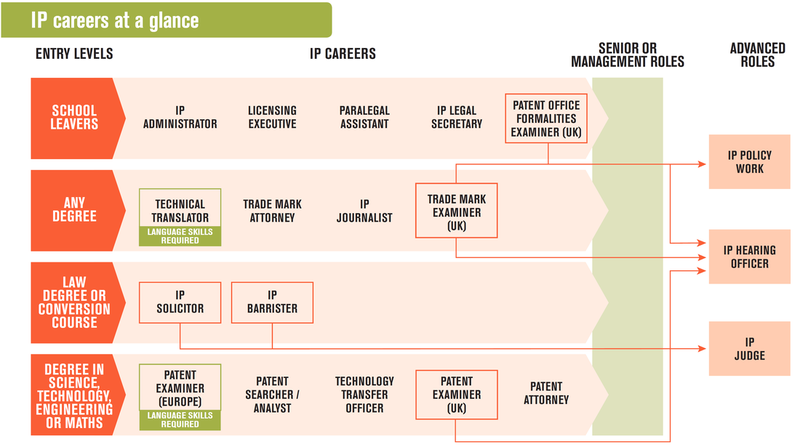 Careers in Ideas aims to raise awareness of all types of jobs within the IP sector, from those suitable for school-leavers to those that require further education. Therefore, we welcome all IP professionals and their colleagues – including administrators, searchers, IP managers, licensing executives as well as those in HR or practice management roles – and also professionals from the education, careers and outreach sectors to the launch event. Therefore, please share details of this event with your own contacts within the education, careers and outreach sectors, to help us widen our network and raise awareness of the IP professions. Doors open at 5.30 pm, with welcome drinks and networking. IP Inclusive leader, Andrea Brewster, will open the event at 6 pm. Guests will have the opportunity to hear about how Careers In Ideas came about, including a presentation showcasing the Careers In Ideas website and resources. This will be followed by a panel discussion with, we hope, lots of audience participation. With the formalities out of the way by about 7.15 pm, we will enjoy a launch party with drinks and nibbles.To register your attendance, please visit registration page here. Careers in Ideas is a powerful, profession-wide outreach initiative which can add strength and credibility to individual organisations’ recruitment efforts. We hope, therefore, that this showcase event will be of interest and value to all IP professionals.